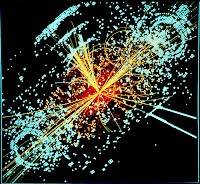 Physics Buzz: First the Higgs, Next Supersymmetry? Supersymmetry is an all-encompassing theory about how the universe works which would expand on the current Standard Model of physics, which ties together how matter and energy interact. 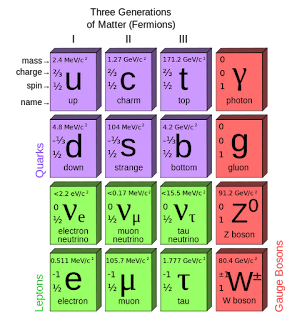 The Higgs boson was the last particle predicted by the Standard Model still waiting to be discovered. However there are aspects about the universe that the Standard Model can’t explain, like why gravity is so much weaker than all of the other forces, what dark matter is, or even why the Higgs isn’t much more massive than it is. To explain these, physicists have been looking for new physics for years, and one theory that’s gained a lot of traction is Supersymmetry. Supersymmetry would explain these anomalies through zoo of massive particles yet to be discovered, each one a shadowy mirror of another particle already identified. It’s an elegant theory one that lies right on the cutting edge of theoretical physics. 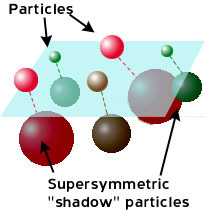 Supersymmetric particles thus far have only been postulated, never observed. Signs are just starting to peek through that researchers may finally be getting closer to finding solid experimental evidence to support the theory. Hooper and Buckley’s paper, which is scheduled to be posted on the ArXiv on Sunday and titled “Are There Hints of Light Stops in Recent Higgs Search Results?” looked at anomalies in the way the Higgs boson decays. 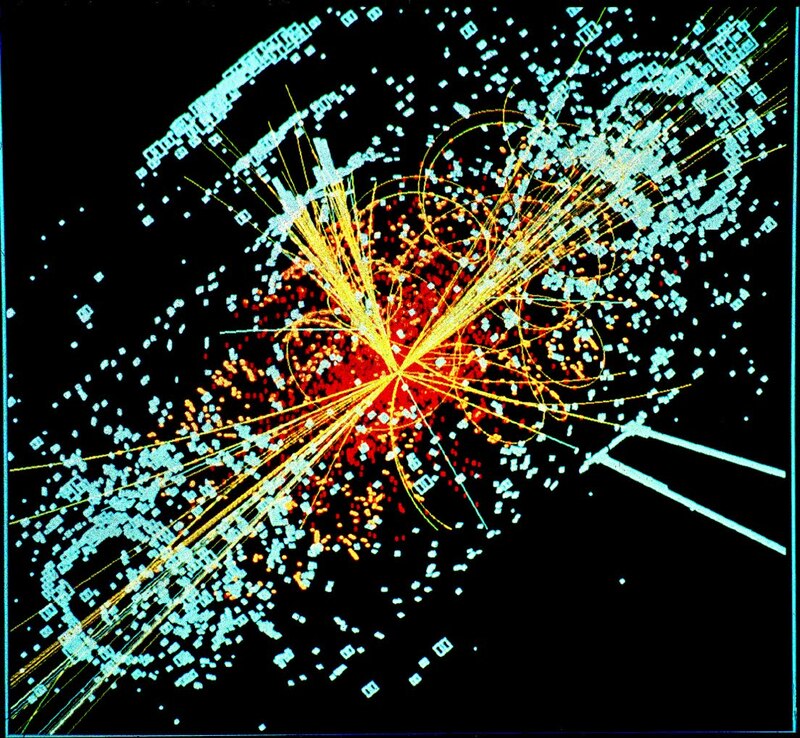 Once a Higgs particle is created, it lasts for only a tiny fraction of a second before breaking into several other fundamental particles which is what the detectors actually see. The data observed by the Fermilab researchers is consistent with one version known as low energy Supersymmetry, where all of the particles are relatively low mass. No actual stops were directly observed, but the researchers say that if one existed, it would yield the results seen. They predicted it probably would weigh in at in at around 300 GeV; about 300 times the mass of a proton, or about 2.4 times the mass of a Higgs boson. Data that is compatible with the theory is a significant step. There are many different possible theoretical forms that that Supersymmetry could take. As results from the running of the LHC have been trickling in, different versions have been refuted. The results are promising, but still preliminary and far from conclusive. Hooper and Buckley acknowledge in their paper that there could easily be unknown systematic effects in the detectors or in the accelerator that could produce these anomalies. As the LHC continues to run early into next year, and collects more data, a more complete picture should emerge. The LHC is scheduled to shut down for upgrades starting in early 2013 before coming back online in 2014, at which point, Carroll says scientists will have the best chance to really put Supersymmetry to the test. The tev brane can't be ruled out so easily. Nothing screams five dimensions like energy bleeding into every point in space-time.